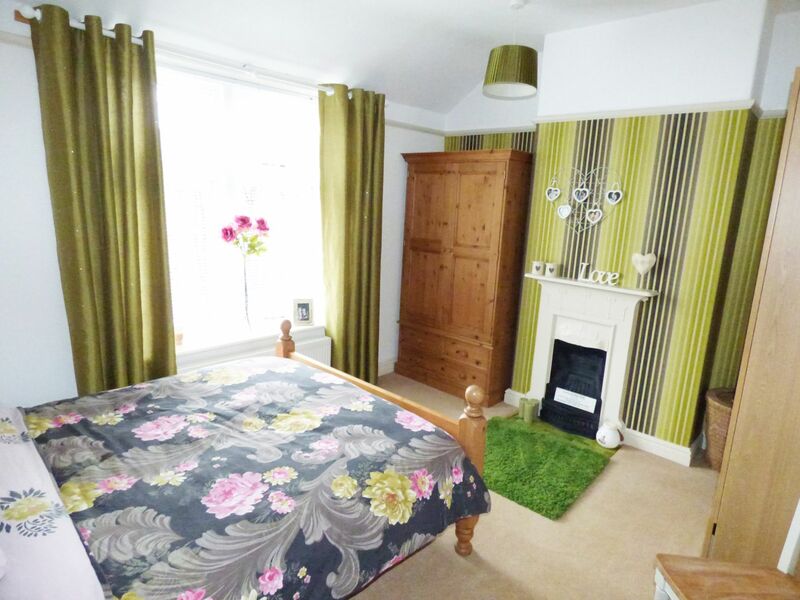 Ian Tonge Property Services are delighted to market for sale this stunning three bedroomed bay fronted traditional semi detached house, which is situated in the popular location of Woodsmoor. This property offers the perfect blend of character and modern day living. The property comprises of entrance hallway with downstairs W.C., lounge with feature fireplace and timber floor, dining room with feature fireplace and double doors leading to the garden and open plan fitted kitchen with granite work tops and range cooker. 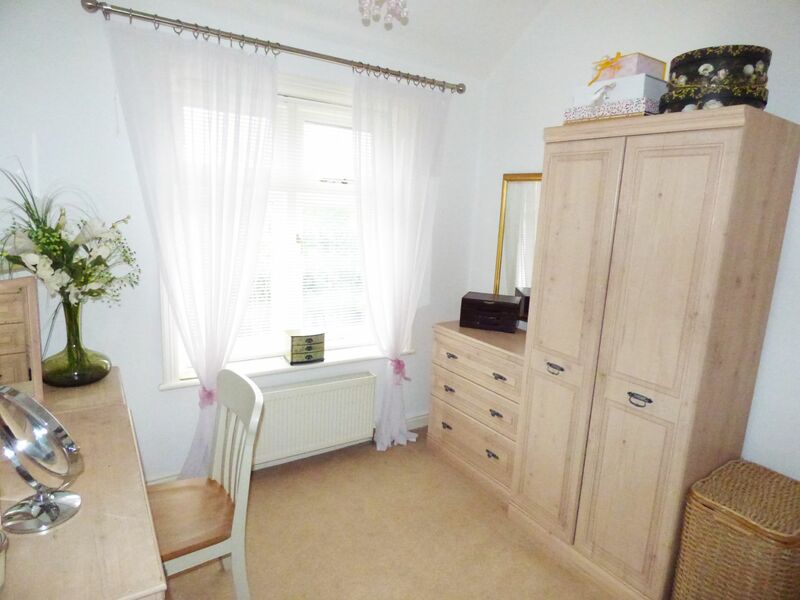 Upstairs there is an airy landing leading to three well proportioned bedrooms and bathroom with feature freestanding bath. Outside there is a small front garden and an enclosed rear garden which is lawned with decking area and steps leading to the storage cellar. Wooden entrance door with stained glass window, radiator, picture rail, staircase to first floor. Side window, low level W.C., pedestal wash basin. 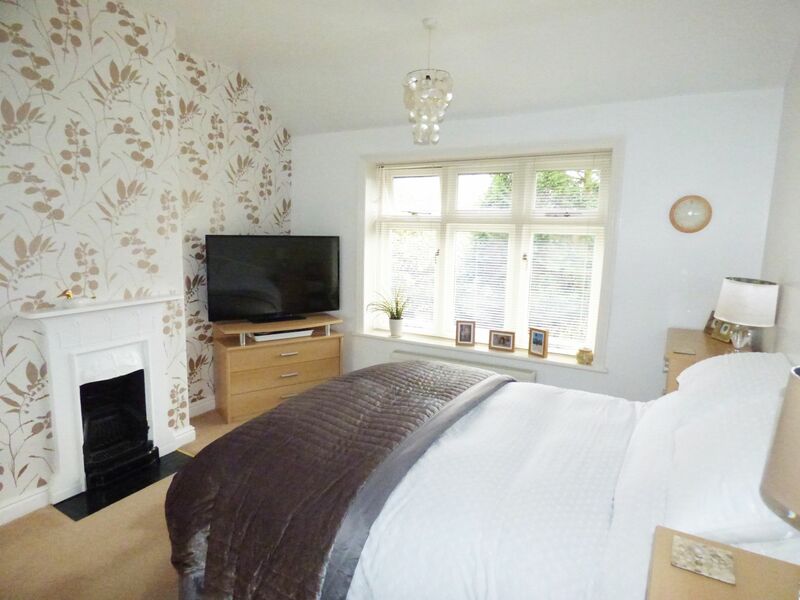 Double glazed bay window to the front aspect, feature wooden fire surround with marble back and gas fire, timber floor, radiator, TV aerial, picture rail, feature ceiling, power points. 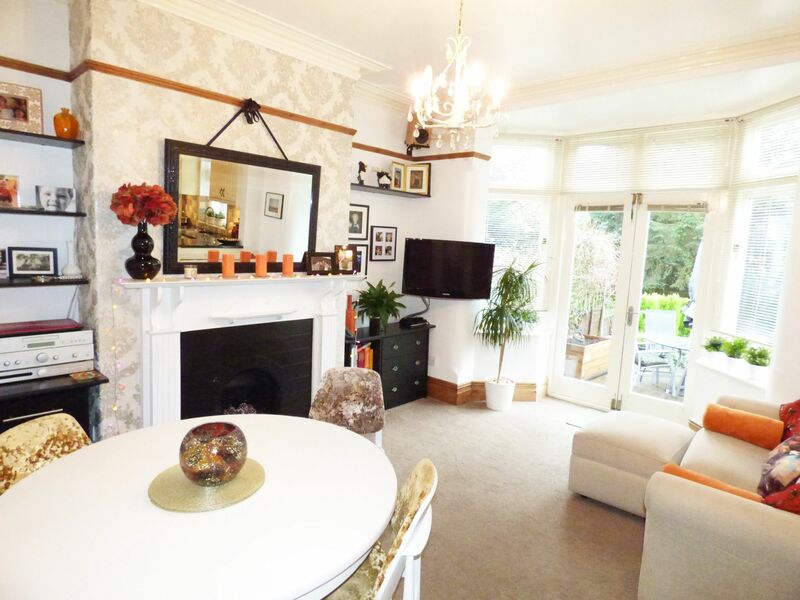 Feature wooden fireplace with tiled back and cast iron grate, double doors with window either side to the rear aspect, TV aerial, radiator, power points, through room to the kitchen. 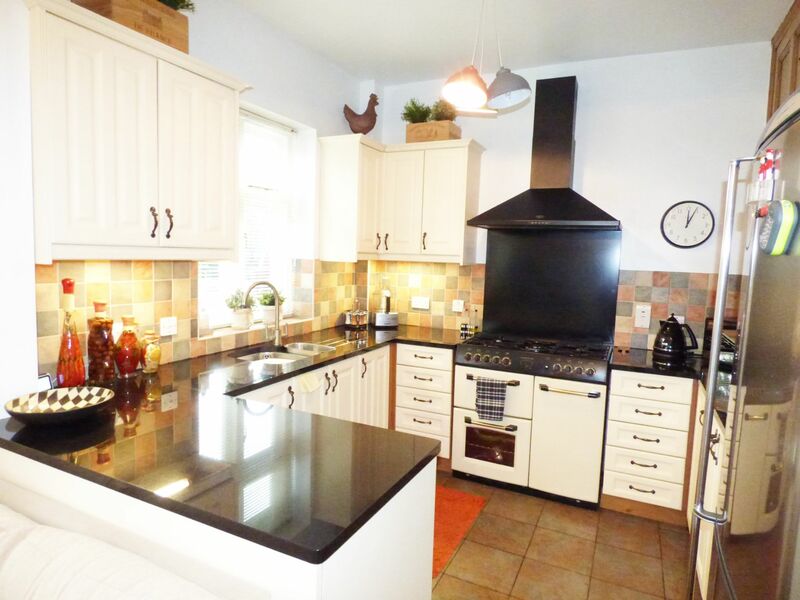 Double glazed window to the rear aspect, range of fitted wall and base units, granite work surfaces with inset drainer and mixer tap, splash back wall tiles, Sandringham range cooker, plumbed for washing machine, tiled effect floor, space for fridge freezer, power points. Double glazed window to the side aspect, spindle balustrade, doors to the bedrooms and bathroom. Double glazed window to the front aspect, cast iron fireplace, radiator, picture rail, power points. 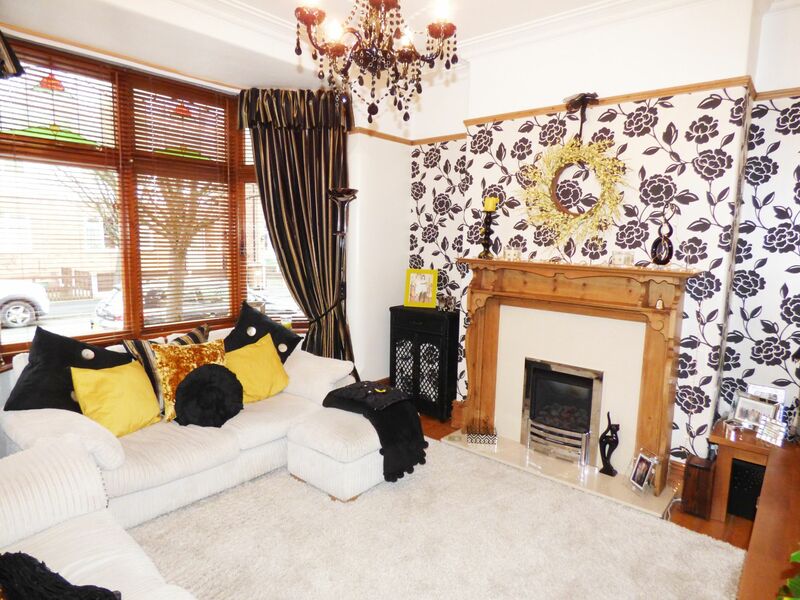 Double glazed window to the rear aspect, cast iron fireplace, double radiator, power points. Double glazed window toi the rear aspect, double radiator, loft access, power points. 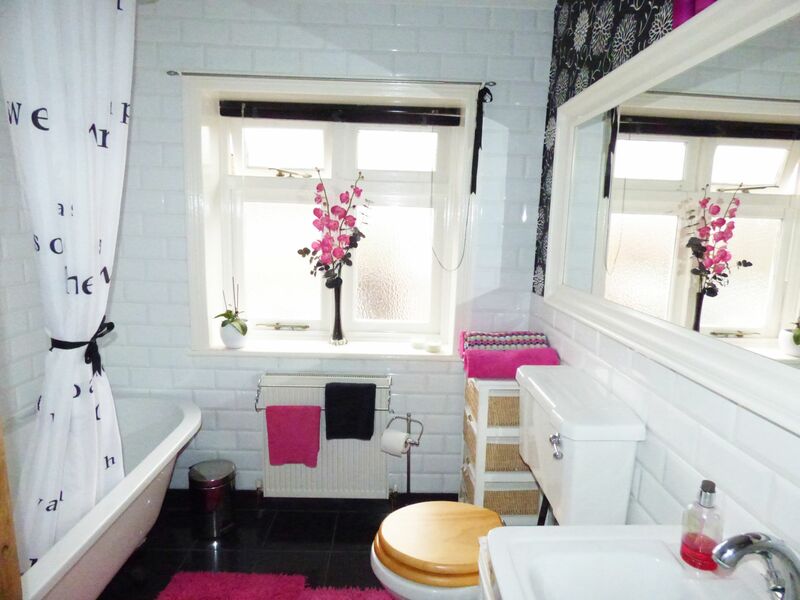 Double glazed window to the front aspect, feature freestanding bath, low level W.C., pedestal wash basin, part tiled walls, single radiator, shaver point. To the front aspect there is a small garden with brick dwarf wall. To the rear there is an enclosed lawned garden with feature decking area, stocked borders, outside tap and light, steps leading to the cellar. 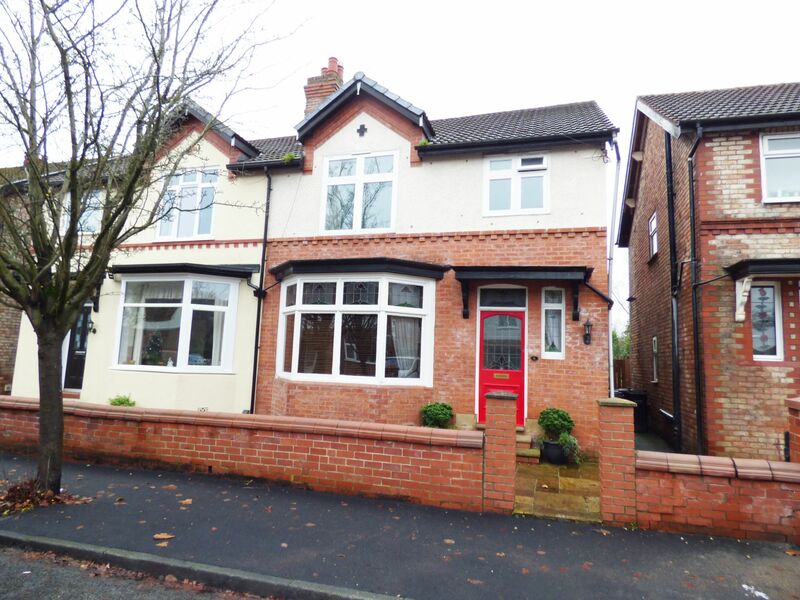 Viewings are via our Hazel Grove Superstore. Contact 0161 483 5873.